Every year on Valentine's Day, couples head out to fancy restaurants and the men try their best to get "out of this world" presents for their womenfolk to show how much they love them. In conjunction with this year's double celebration, Grand Seasons is celebrating double happiness with their patrons with the special and exclusive Chap Goh Meh & Valentine's Day Buffet, happening ONLY on 14th February 2014! In keeping with the Chinese New year tradition, Grand Seasons also offers the Salmon Yee Sang to patrons shaped in two delicate hearts. 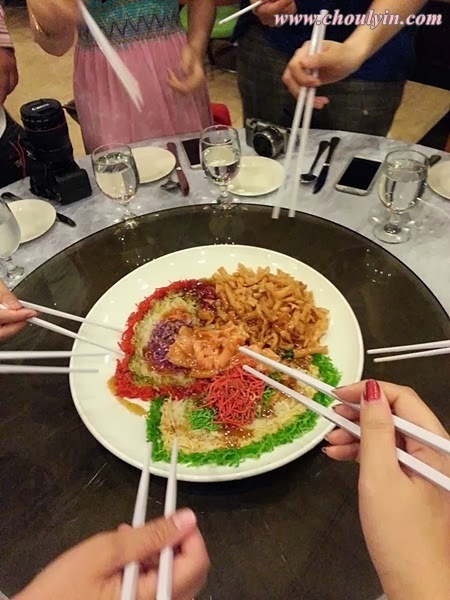 Just looking at the Yee Sang makes me feel sorry that I have to eat it cos it's so beautiful. 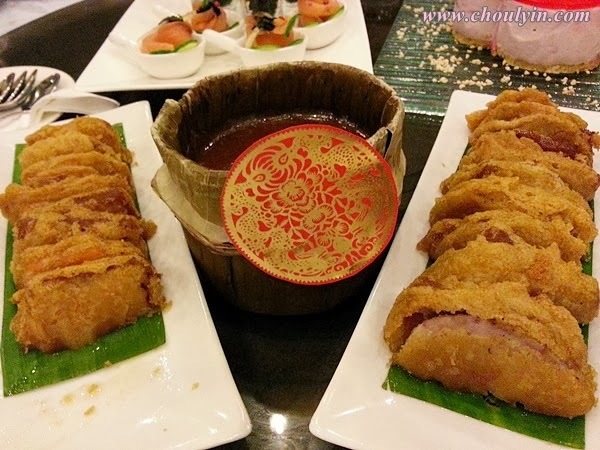 This Chinese New Year, there are a variety of chinese dishes served up on Friday, and the more famous dishes include the Deep Fried Home Style Garoupa. 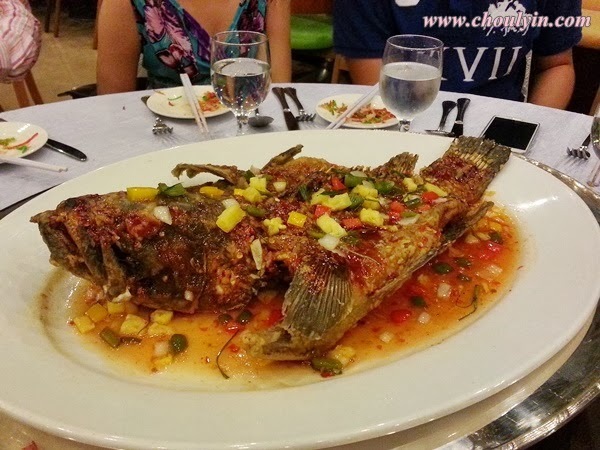 It comes with a spicy thai style sauce, and the fish is cooked just right. The prawns are cooked in a special shrimp paste that is not too spicy and gives off a delicious savoury taste when bitten into. 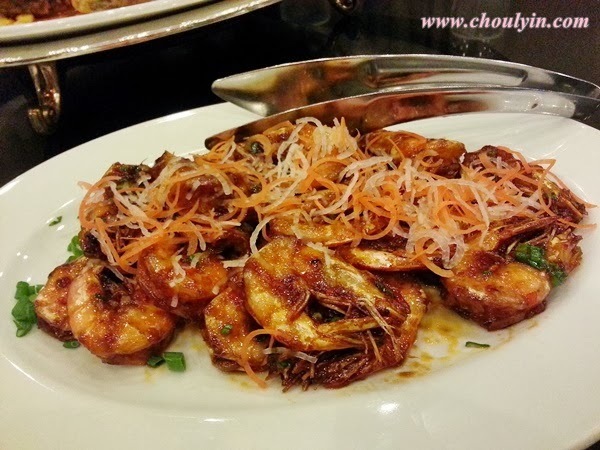 The prawns are not overcooked, making it juicy and tender to the bite. Definitely something you must put on your plate when making your rounds in the buffet line. To go down the food menu, Grand Seasons offers various mouthwatering appetizers to open up the palate this Valentine's Day. 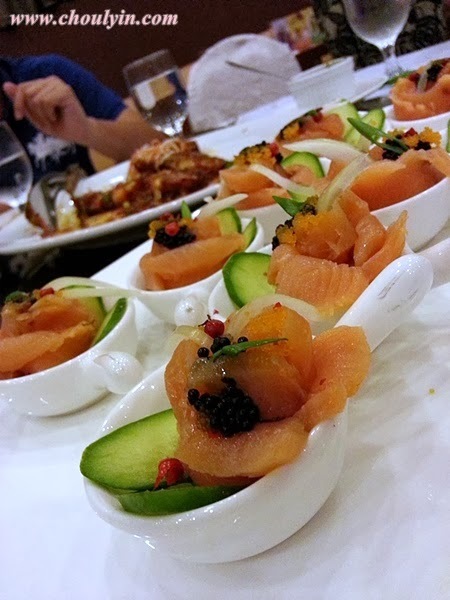 This makes a great appetizer for most people cos, who doesn't love salmon? It's also smoked so for those who don't eat sashimi, don't worry, you can still try this out. The Chicken breast was salty to the taste, and when taken together with the seaweed, they both really complemented each other as the seaweed was not overly seasoned. This was by far my favourite appetizer for the night as it has all my favourite ingredients in it. There are prawns and some fish roe and mini olives, all on a bed of lettuce, and a very thinly cut slice of orange to give it that tangy taste. There was also the salad bar where they had many different condiments available for the patrons. Offerings include; fresh Highland mixed Local Lettuce, Asparagus Carrot, Japanese Cucumber, Red Cabbage, Garlic & shallot Confit, Black olive, Green Olive, Sundried Cherry Tomato Shaving - Parmesan, Herb Croton, Bacon Bit, and Kernel Corn Salsa. One great thing I saw was the Rojak Buah-buahan station, which is a rarity in most hotel chains. The moment I saw this, I knew I had to try it out and I helped myself to a small portion of what was on display. For the more adventurous, there's a carvery station where they have Roast Duck and Grilled Chicken and Beef that you can carve off to your heart's content. Calling all pasta lovers!!!! You will definitely love this station where you can cook your own pasta, and layer them with your favourite sauces! No surprise for me, I took some fusilli and then proceeded to drench them in the mushroom cream sauce. Two-thumbs up from me! 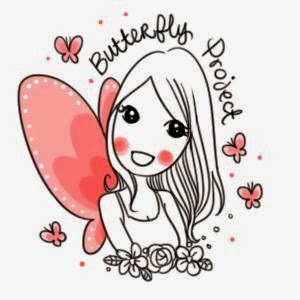 Healthy eaters are also not left out this time around, as there is a special live-show kitchen 'on-air' over the course of the night which serves a variety of meats and seafood, teppanyaki style. Ningko (or Nian Gao) is a very popular dish during the Chinese New Year season, and Grand Seasons offers two different types of Deep Fried Ningko, which is either fried with sweet potato, or Yam. Both are delicious, so be sure to try it! For the lovers out there, don't worry about not being able to celebrate Valentine's day, because everyday IS Valentine's Day right? *wink* But if you still want to celebrate, then Grand Seasons has got that covered because they have Strawberry Cheese Cakes to enjoy together. 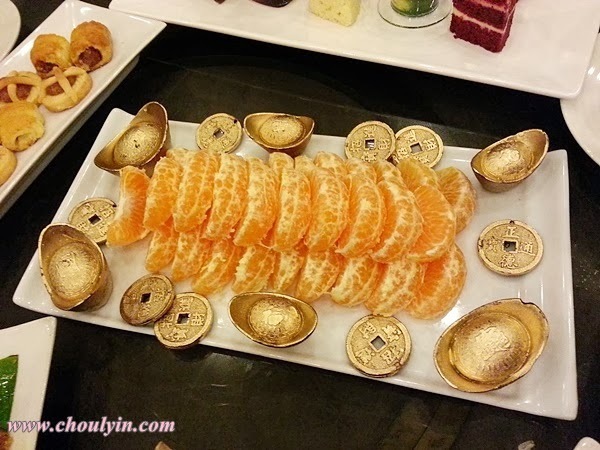 Our last dessert for the evening, intricately designed mandarin oranges, decorated with chocolate coins that were edible! We were all so fascinated with the chocolates that some of us even took them home. 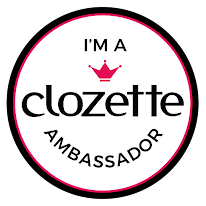 When I bit into the chocolate, I was pleasantly surprised that they tasted like really good quality chocolate, and not the overly-sweet ones that you will usually find in other places. 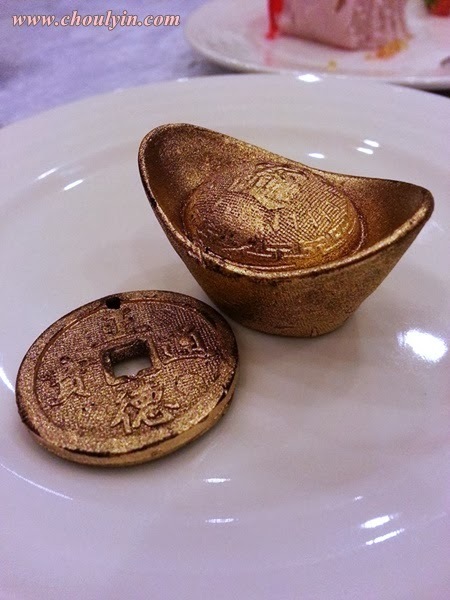 You should also try out the different soups that they had, which are the Fish Maw with Five Treasure Soup, and the Roasted Golden Pumpkin Soup. The fish maw soup had a tangy taste to it that reminded me a little bit of the sour and spicy soup that I love so much, and this was definitely something that I would come back for again in the future. Seasons Cafe is located at the Ground Floor of the Hotel, and for reservations, kindly contact the friendly hotel staff at 03- 2697 8888 or email them at [email protected].